I met with my friend Sam and a few of the boys from the Staffordshire Surge American Football Team at Wembley Stadium. 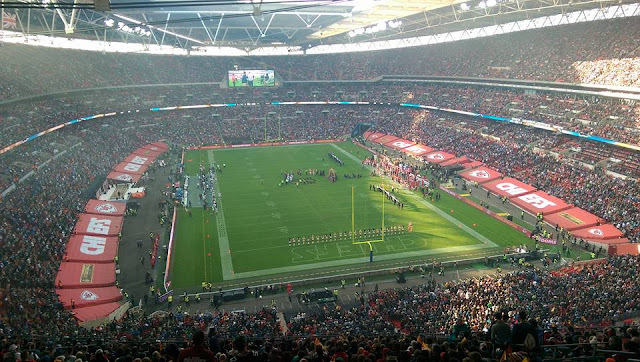 Wembley was awash with jersey's from all 32 teams as there is currently no NFL team in London, yet despite this the atmosphere in and around the stadium was incredible. We took a look around checking out the pro shop where merchandise from all team was available and the fan zone were the main tail gate party was being held. 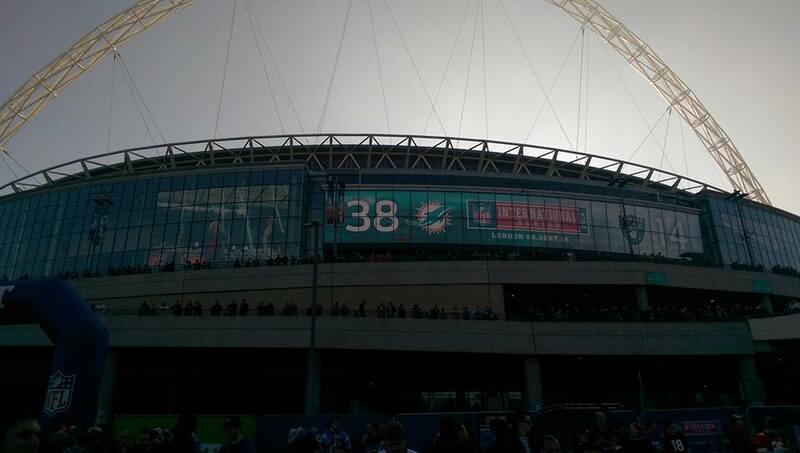 We then inside took our seats and got ready for the game. 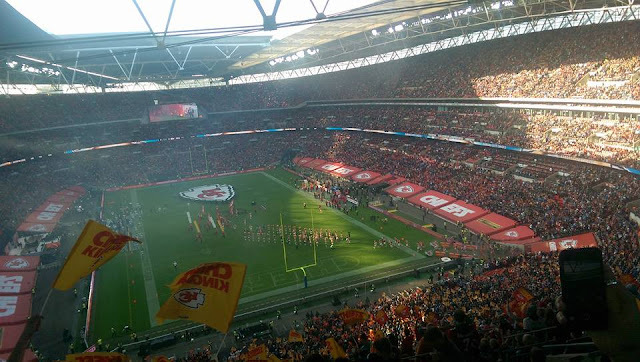 The Kansas City Chiefs were the home team for this game so the entire stadium was decked with Chiefs flags, sounds and video animations (The Tomahawk Chop, is so much fun to do). After the traditional national anthems, the game began and getting to see some of the most talented players that the game has today was amazing. My favourite moment was getting to see Lions wide receiver Calvin Johnson (also known as Megatron) play in what turned out to be one of his last professional games. 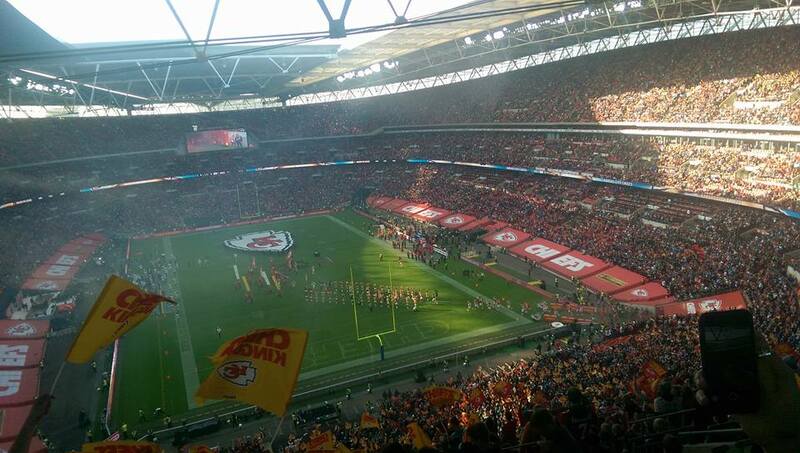 The game itself wasn't as good as expected due to the Detroit Lions getting blown out 45-10 but the thing that made it special was just how into the game and behind the Chiefs the crowed had become, it actually felt like the Chiefs were the home team and not at a neutral venue. 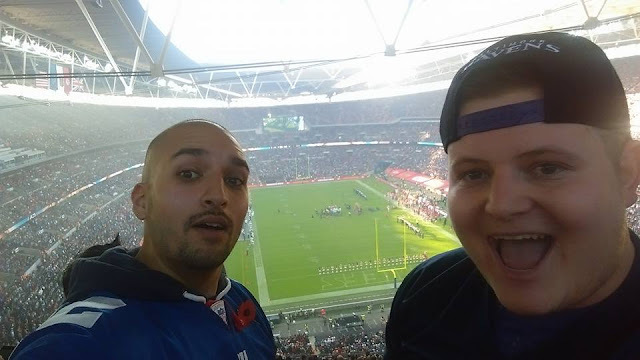 This was the second game I had managed to attend and I hope that this year I will be able to go to see my New York Giants go against the Los Angels Rams at Twickenham. I would strongly recommend anyone who hasn't been to a game that is interested to attend one for the experience. Have you been to an NFL game? If not what is the best live event experience you have been too?